Serving the San Francisco Bay Area since 1984, our team includes a rare combination of system designers, electricians, installers and programmers who provide creative designs, systems integration and control of your business. We recognize the special care and attention to detail needed when building or upgrading your work-space. AVT offers a full range of A/V products for every budget and application. From low cost, consumer model flat screens to the highest quality commercial displays, AVT has them all. 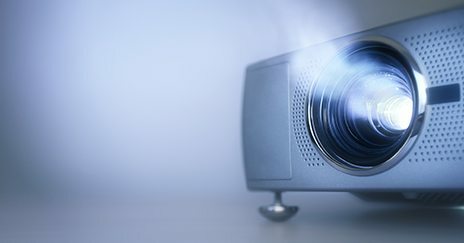 Now that flat screens are affordable in sizes as large as 85" we can many times replace a small format projector with an LED screen, which is much more functional and doesn't have the maintenance and fan noise issues common with low cost projectors. 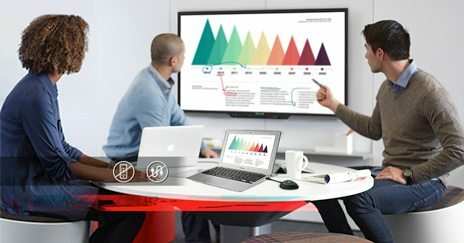 Add interactivity to your conference room and increase productivity with team annotations by having AVT install a touch-screen Smartboard; some models even have built-in computers and video conferencing for true stand-alone solutions. 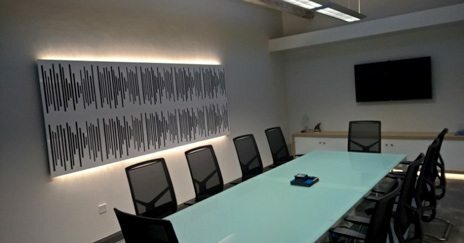 Tired of tangled cables in your meeting room? 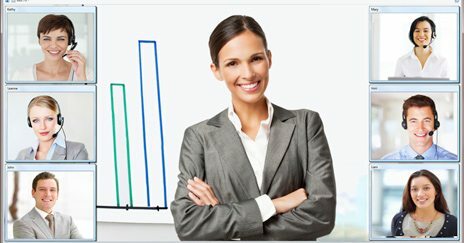 We offer the latest wireless presentation solutions with support for Mac, PC, iOS and Android operating systems. Add full "BYOD" (Bring Your Own Device) support to your conference room project. These allow a number of users to display simultaneously or wait "in queue" for the previous participant to finish. Specifying the right microphone solution for the intended purpose takes a pretty deep level of design work. We take into account the participants, room aesthetics and acoustics as well as the intended usage for the room. Individual goosenecks, table pods, and ceiling mics are all viable solutions depending on the application and budget. We also offer a full line of wireless lapel and hand held mics for presenters and Q & A situations. These days, we're all connected, and while more and more technologies are going wireless, there are still plenty of cables to go around. With so many cables and cords connecting to so many different devices, it doesn't take long before you're consumed in a sea of tangled wires. Thankfully, we have solutions that will take care of all of your cable management needs. Our assortment of table popups can greatly reduce the table clutter of all the different cables. 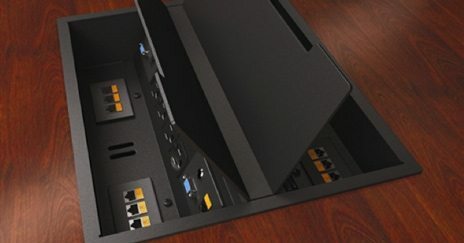 We also offer a line of raceway that fits discreetly under carpet to take power and connectivity to any table where no core drill is present or possible. Wireless connectivity devices are great and have their place, but it is far from time to abandon cables all together. Sound masking is the addition of sound created by special digital generators and distributed by normally unseen speakers through an area to reduce distractions or provide confidentiality where needed. The sound is of a broad-band random type that conveys no information about itself to a listener. 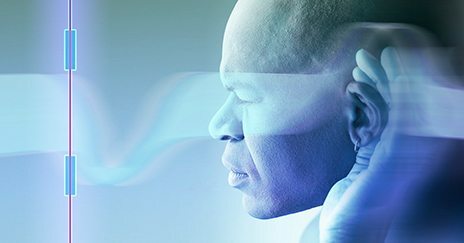 It is often referred to erroneously as white noise or pink noise; the sound spectrum and level is specially shaped to provide the degree of privacy desired by occupants. Masking operates by covering up or masking unwanted sounds, similar to one-way windows that block the ability for a person to see others behind them, or perfume that covers up other body odors. Sound masking is used in homes, commercial offices, medical facilities, court rooms, and in secure facilities to provide secrecy. It also can be used outdoors to restore a more natural ambient environment. No matter how amazing the technology and installation is, it is virtually worthless if it is not intuitive for the users to control. We are often asked what is the best type of control: tactile, touchscreen or even voice. The answer is they all have their place, depending on a number of variables including budget, devices being controlled and whether it is user operated or if there is a meeting administrator that runs the show. For simple operations we have a small, tactile keypad that fits either in the table pop-up or discretely in the wall as it is the same size and shape as a light switch. For our lighting and shade control we have keypads that are custom laser engraved to reflect activities such as "meeting" or "video" where both lighting and shades can be controlled in tandem from a single button press or simple "Open" or "Close" to operate components independently. 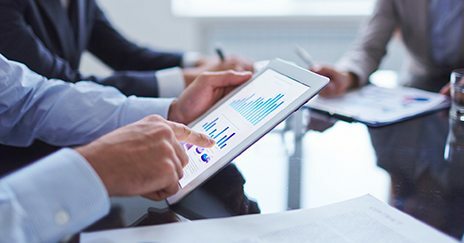 For larger spaces and more complicated applications, we offer a line of software for iPads or proprietary touchscreens that can handle the most advanced situations, once again keeping it simple so there is no lost time trying to get things to work. For larger spaces and audiences, our projection systems offer video displays much larger than LED displays. Interactive projector technology encompasses solutions that enable the user to actively participate with the projected image. Some interactive projectors allow user generated information to be captured, replayed, printed or copied with or without the original projected image. 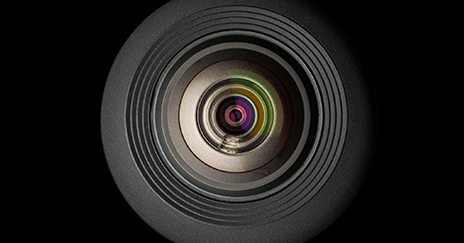 We also offer a full range of projection surfaces including fixed frame front or rear projection as well as a wide variety of surface mounted or recessed electric roll down screens. The most basic way to set up audio conferencing is with a traditional speakerphone. For huddle rooms and team rooms a single speakerphone may be sufficient. As the room size grows we recommend adding satellite microphones either on the table or in the ceiling. For our larger spaces we provide rack mounted interfaces that can be attached to a variety of ancillary equipment. Whether you just need simple point-to-point conferencing with a single satellite office or a multi-platform solution across various interfaces, we offer and can integrate with a variety of web conferencing software for Linux, OS X, and Windows Operating Systems. Let's discuss your needs and find a solution that is right for you. Modern conference room designers love to use a lot of glass. As beautiful and open as this is, it is an acoustic nightmare, especially in the world of teleconferencing and presentations. AVT has several vendors that offer everything from simple soft panels, to complete software room modeling. When building out a new space, getting us involved as early as possible before fixtures are placed will greatly increase how much we are able to do; although the majority of our installations are in already completed spaces where we are then limited to existing conditions, rather than being able to specify sometimes small adjustments that have a big impact. Another consideration is HVAC noise. 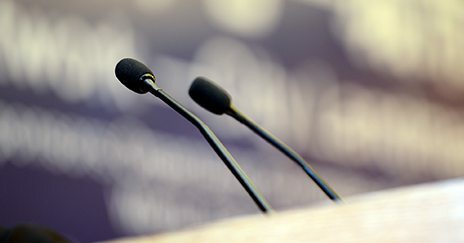 Although something that may go unnoticed by on-site meeting attenders, it is amplified by the mics and can be very distracting to off-site, call-in participants. Again, if we are involved in the construction phase we can make recommendations to greatly reduce this. For existing spaces we offer some vibration dampening materials that help with the issue, but are far less effective as a proper original installation. 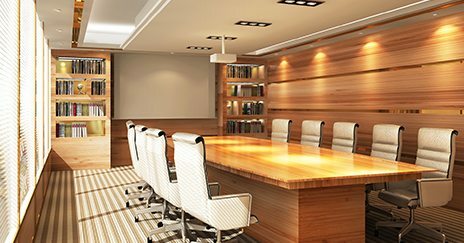 To properly illuminate a larger meeting space such as a boardroom, there is generally several types of lights including general illumination, perimeter lighting, table spots and often sconces, wall washers and art accents as well. Given the fact that a larger gathering space is generally used for many different functions; discussion meetings, PowerPoint presentations and even social functions, controlling all these different light sources can be daunting. We find that without simplified control, rooms are usually too dark for the activity, or lit up like an operating room ready for surgery. With an automated lighting control module, switching illumination for these different activities can be just one button press away. If you've ever had an important business meeting ruined by the glare through the windows or tried to sit through an afternoon strategy session with the sun beating down on the conference room, you understand the need for daylight shading and control. Either operated by the push of a button or pre-programmed to drop and rise at just the right times, automated shades make these annoyances a thing of the past. With many fabrics and designs to choose from, AVT can find a solution that not only enhances your environment but saves you money on your heating and cooling bills as well. 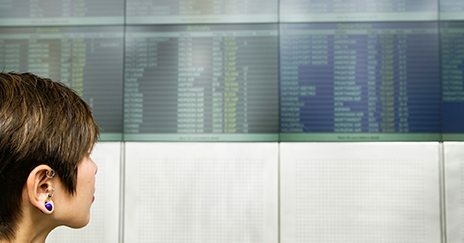 Take company branding for guests and employee notification to the next level and increase your exposure with Digital Signage. Digital Signage is the modern version of the poster, banner, directory sign or bulletin board, offering a cost-effective and flexible alternative. With Digital Signage, the content can be updated remotely and rapidly, with no need to wait for printing and constant re-installation. Display new content at different times of the day or as the occasion specifies. The baby brother of this is the room availability signage. 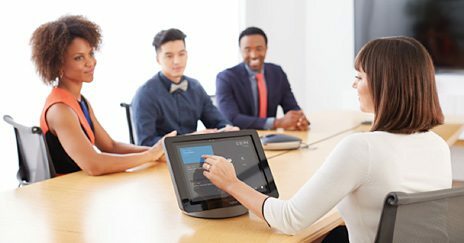 These small touchscreens placed just outside of meeting spaces lets those wanting to use the room know when and for how long the room is either booked for or available. The system can be tied into the admin's desktop, so it works well if your company uses a gatekeeper model for scheduling. The software is very flexible and different employees can have varying levels of privileges in terms of booking or overriding. Protocols can even be set up to deliver app-based updates to users' mobile devices so everyone is always in the know of when there is availability for any given space.